Description: A very special event begins this week for PAWS. It’s time for the PAWS Pet Food Drive! 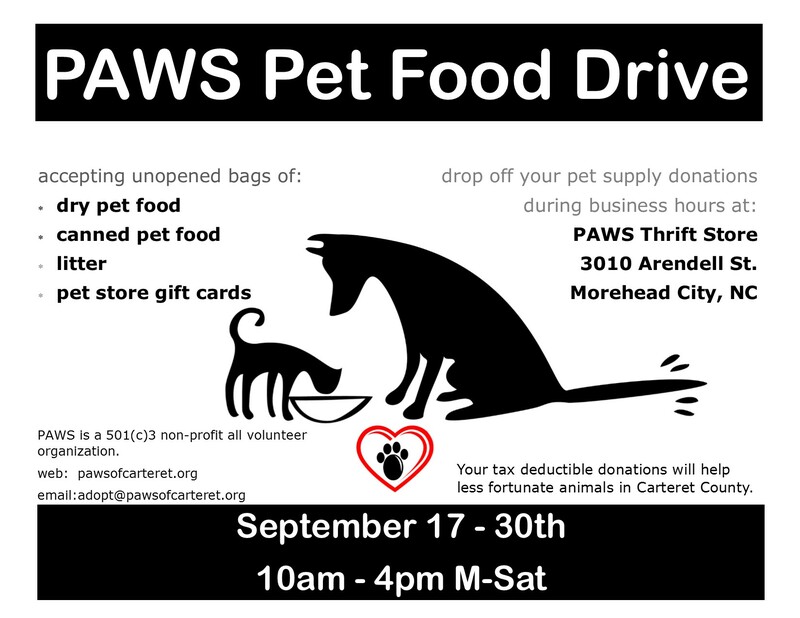 Drop off unopened/unexpired dry, & canned dog/cat food, litter, and or gift cards. We maintain a small food bank at the PAWS Thrift Store for folks going through hard times and need a little extra help sometimes. We also make supplies available for our seniors, and of course our own Foster homes. Please bring something by if you can. This entry was posted on Monday, September 15th, 2014 at 7:10 pm	and is filed under Uncategorized. You can follow any responses to this entry through the RSS 2.0 feed. You can leave a response, or trackback from your own site.